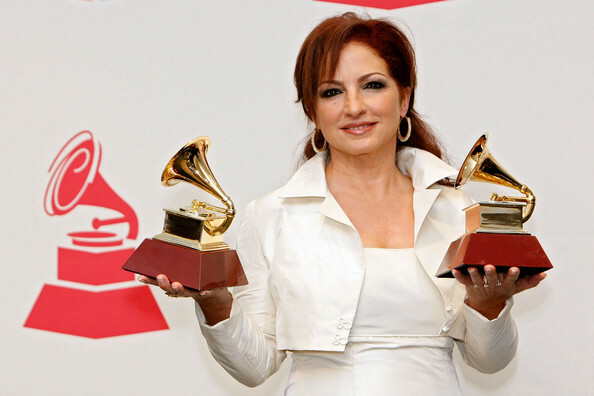 Gloria Estefan is a Cuban-born American singer, songwriter, actress and businesswoman. Her musical genres include dance, Latin salsa and pop. Her signature song is “Conga”. 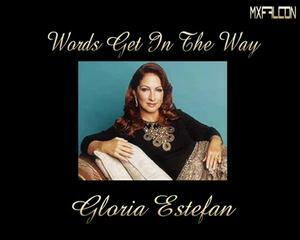 Other Estefan hits include “The Rhythm Is Gonna Get You”, “Turn the Beat Around”, the ballad, “The Words Get in the Way”, and many others. 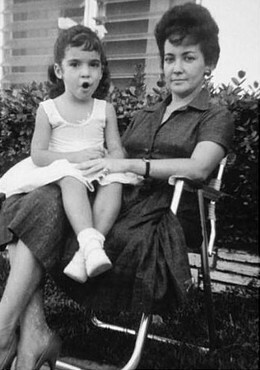 Estefan was born Gloria Maria Milagrosa Fajardo in 1957 in Havana, Cuba. 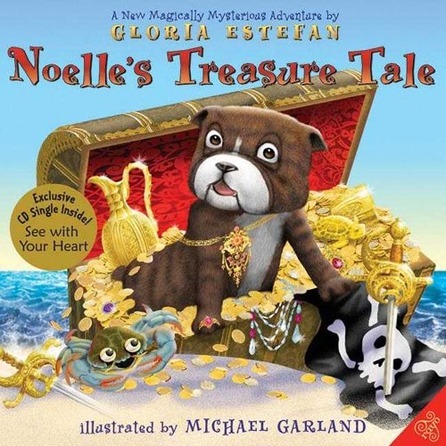 As a toddler Gloria fled Cuba with her family when Communist dictator Fidel Castro rose to power. 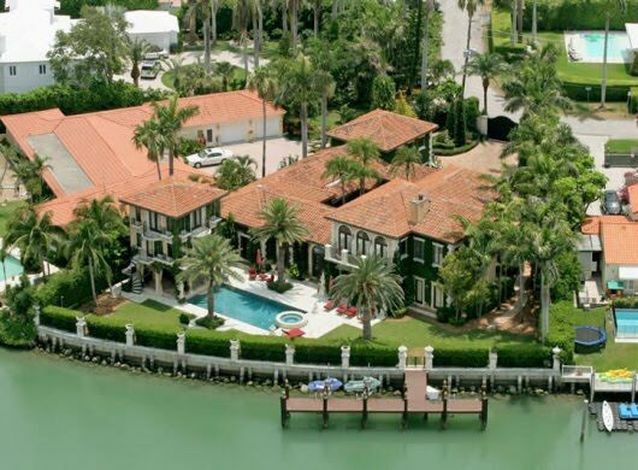 The family settled in Miami, Florida. As a child Estefan liked to write poetry. She had no idea that she would someday become a popular music star, but music played a very important role for her as a teenager. "When my father was ill, music was my escape. I would lock myself up in my room for hours and just sing. I wouldn't cry—I refused to cry. ... Music was the only way I had to just let go, so I sang for fun and for emotional healing." 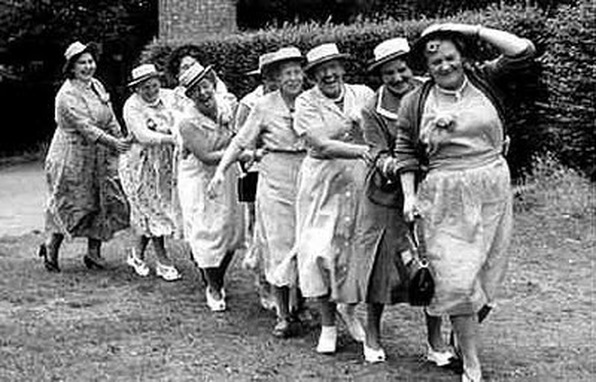 Our song for today is the one that made Gloria Estefan famous, “Conga”. It was written by Miami Sound Machine drummer Enrique Garcia and became the band’s first hit song in 1985. "Conga" has been sung by other artists, including The Chipettes in Alvin and the Chipmunks: Chipwrecked film, and by Alvin and the Chipmunks in the 2015 film The Road Chip. 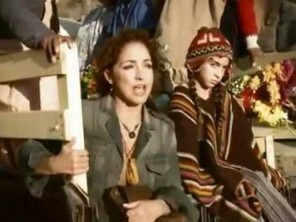 Unlike the high, piping voices of the Chipmunks, Gloria Estefan sings in a low, alto voice range. 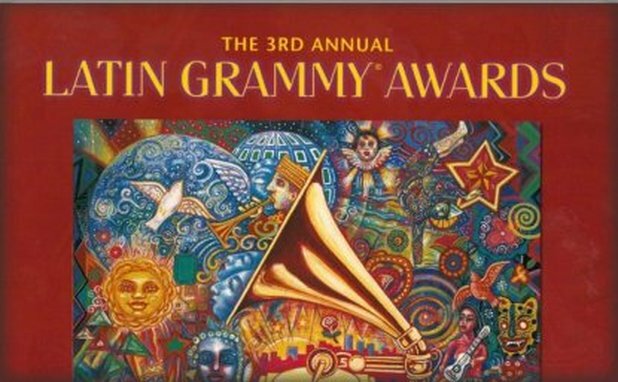 This music is characterized by driving Latin percussion, the feature that set Estefan’s music apart from other pop music of the ‘80’s and ‘90’s. Gloria Estefan’s rise to stardom began in the 1970’s. 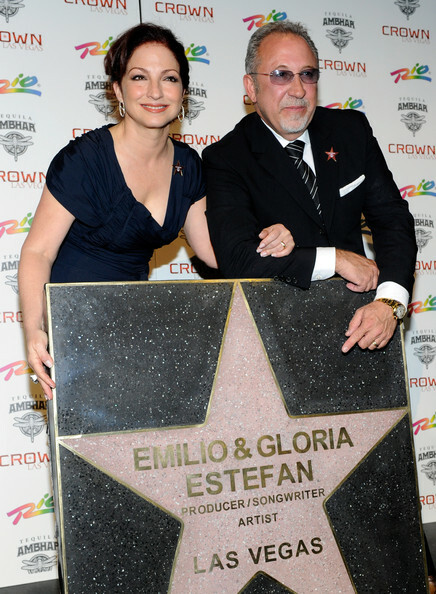 Gloria met Emilio Estefan, a keyboardist who led a band called the Miami Latin Boys. The Miami Latin Boys played popular Latin music, but didn’t have a lead singer. Emilio heard Gloria and her cousin Merci sing at a Cuban wedding and was so impressed, he asked the two singers to sit in with the band. Gloria was later asked to perform as their lead singer. Although Gloria was very shy when she joined the band, she worked to overcome her natural quietness on stage. And she only sang on weekends, because she was still attending the University of Miami. 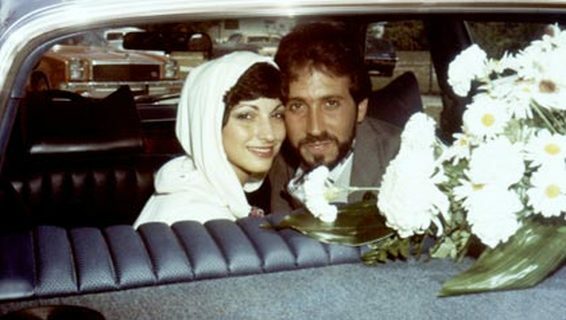 After several months working together, Emilio and Gloria fell in love, and in 1978 they were married. The Miami Latin Boys changed their name to Miami Sound Machine. 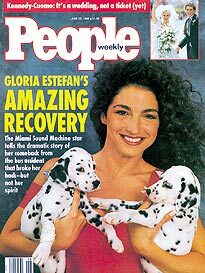 Gloria Estefan gradually became the star attraction, and the act came to be known as Gloria Estefan and the Miami Sound Machine, or sometimes simply Gloria. 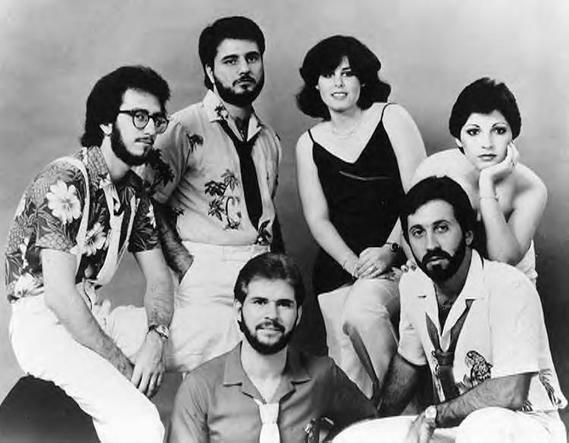 By the early 1980’s, Miami Sound Machine had established themselves as major musical artists in Latin America in both the media and on the radio. They recorded four Spanish-language albums made up of ballads, disco, pop, and sambas. 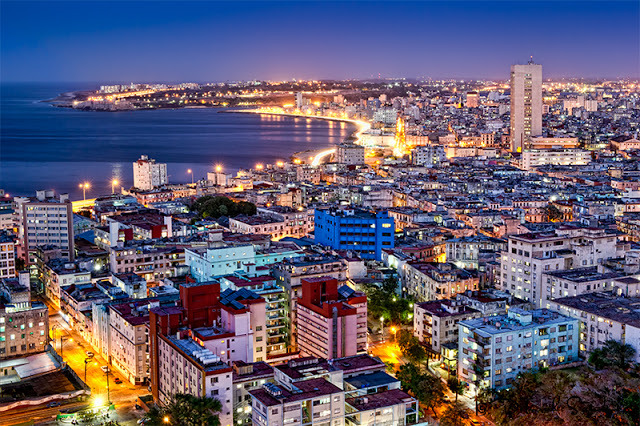 They met with success in Spanish-speaking countries and had dozens of hit songs around the world—particularly in Venezuela, Peru, Panama, and Honduras. The band began to receive recognition in Northern American when they started recording albums in English. Today’s listening example is another hit song called “Rhythm Is Gonna Get You. 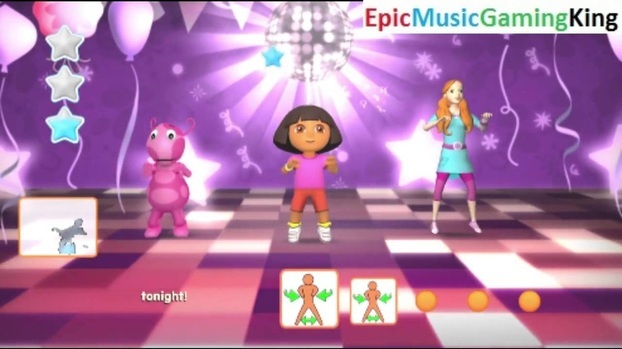 It was featured in the film Stakeout and sung by Dora the Explorer in Nickelodeon Dance Play game. “Rhythm Is Gonna Get You” has the lively, tropical rhythm associated with Miami Sound Machine that makes people want to get up and move. 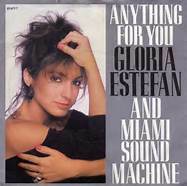 During the 1980’s, Gloria Estefan and Miami Sound Machine added more singers and instruments, including a horn section and lots of percussion. The band finally had their first hit in North America when they released their first English album called Eyes of Innocence. The album’s popularity inspired them to write more songs in English. 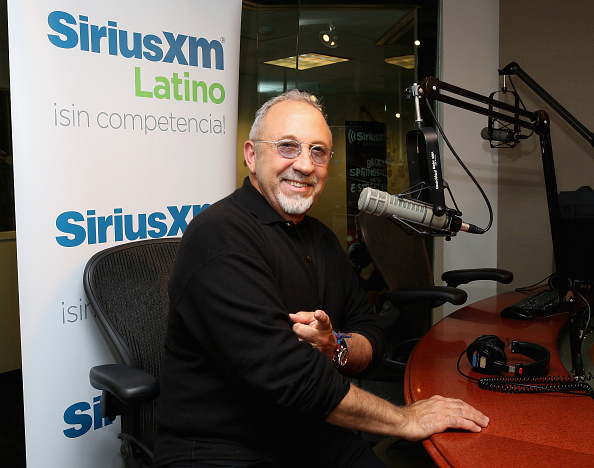 Despite the group's popularity with English-speaking listeners, the Estefans never forgot their Hispanic roots. They continued to write and produce songs and albums in both English and Spanish. These include rollicking salsas such as “Oye Mi Canto” (which means Hear My Song); beautiful ballads like “The Words Get in the Way” and “Anything for You”; Latin songs such as “Mi Tierra” (which means My Homeland); and “Hoy” (which means Wrapped); and many, many others. Salsas are lively dance music. Ballads are songs that tell stories, and in pop music, this usually means a love song. The Estefans and Miami Sound Machine were at the top of their commercial success when a semi-truck slammed into the back of their tour bus in 1990. Gloria’s husband and son had minor injuries, but Gloria’s back was so severely broken that her surgery required 400 stitches and two titanium rods placed along both sides of her spine. The doctors did not expect a complete recovery, but Estefan retired to her home in Miami to begin her long recuperation. 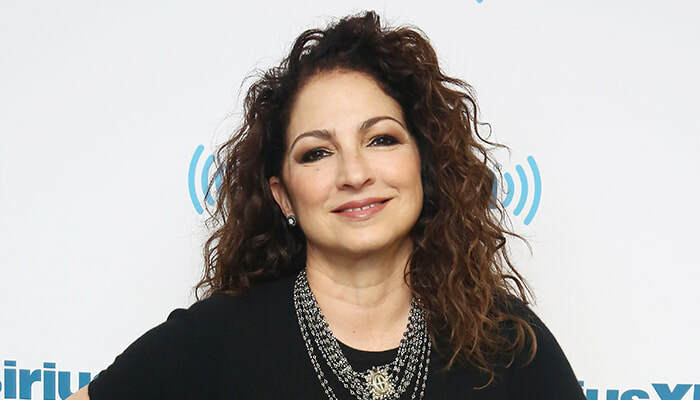 Thanks to extensive physical therapy, intense determination and the support of her family and fans, Gloria Estefan made what many consider a miraculous comeback. After a year, she returned to performing with Miami Sound Machine. The first song she sang publicly was “Coming Out of the Dark”, inspired by the near-fatal accident. 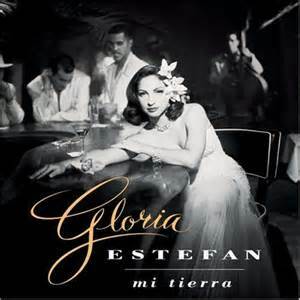 She also showed a renewed enthusiasm for traditional Latin music by releasing the comeback album, Mi Tierra. Our listening example, “Hoy” (which means 'today'), was written by a Peruvian songwriter. 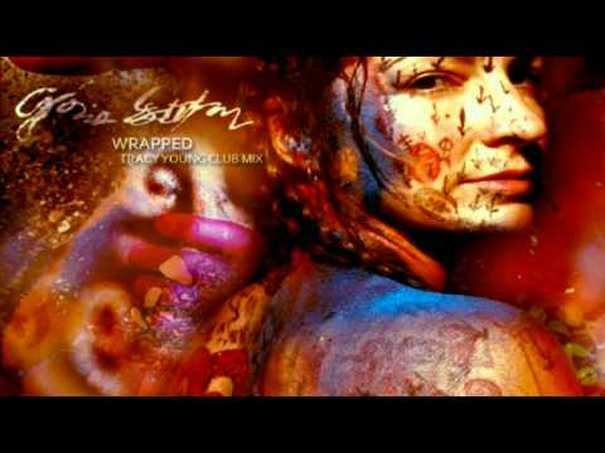 In English, the song is called “Wrapped”, such as a person being wrapped in someone’s arms, like a hug. 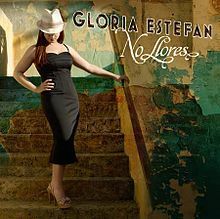 This 2003 song became a major hit for Gloria because it was successful in both its English and Spanish versions. It is a beautiful love song about faith, healing, peace and happiness. The video was filmed in Peru in the legendary city of Machu Picchu. The first version is the Spanish version, with the English version below. Even if we don’t understand the words, we can still appreciate the beauty of the music. Listen below to "Coming Out of the Dark", Estefan's 'comeback' song performed at the American Music Academy. "No llores" ("Don't Cry") is a stylish, Latin rock video. 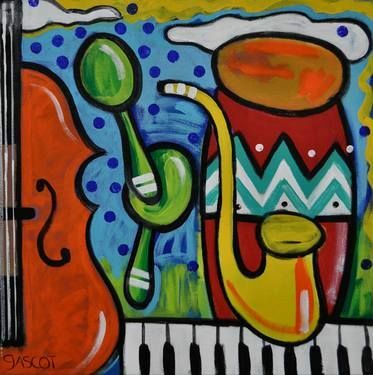 "si, senor" is upbeat, fun music to listen to. 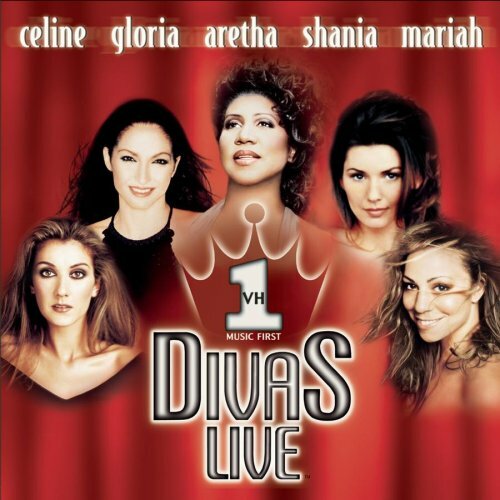 Listening Example: "Get On Your Feet"
In 1998, Gloria Estefan performed on a VH-1 concert special called Divas Live, which included Mariah Carey, Celine Dion, Aretha Franklin, Shania Twain and others. The concert raised money to fund music education in elementary schools. Being included in this event established Estefan’s position among the top female singers in the music industry. In recent years, Estefan has found another outlet for her creative talents. 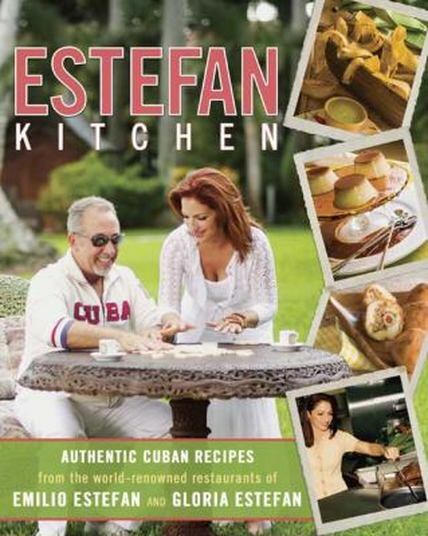 She and her husband, Emilio, wrote a cookbook called Estefan Kitchen, which featured traditional Cuban recipes. She also wrote two picture books for children. 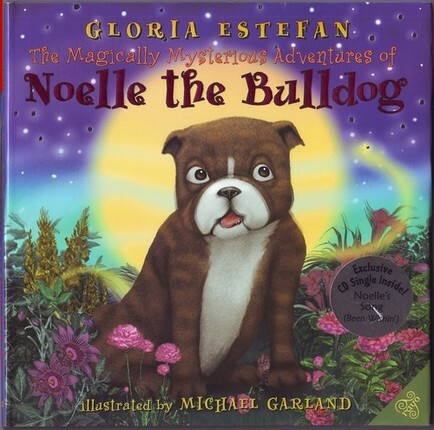 One is The Magically Mysterious Adventures of Noelle the Bulldog, written in 2005, and Noelle’s Treasure Tale, written in 2006. There are English and Spanish versions of each book. 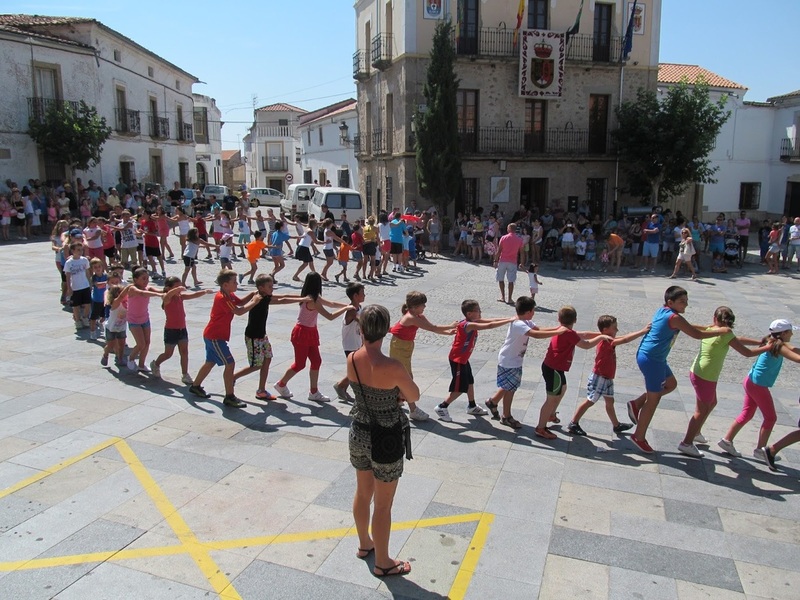 Our listening example is a live performance of “Get On Your Feet”. Just before the Estefans were in their serious tour bus crash in 1990, they were on a world tour called the “Get On Your Feet” tour. That was interrupted when the crash occurred. 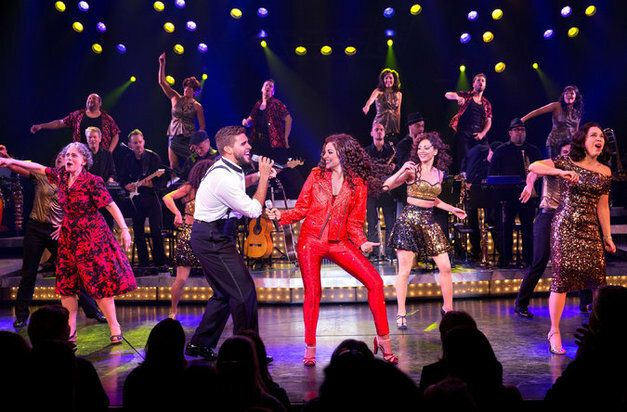 There is a new Broadway musical called On Your Feet which tells the Estefans’ life story. This video last just over five minutes. The first minute and a half is an exciting introduction by the percussion instruments. Towards the end is a saxophone solo. 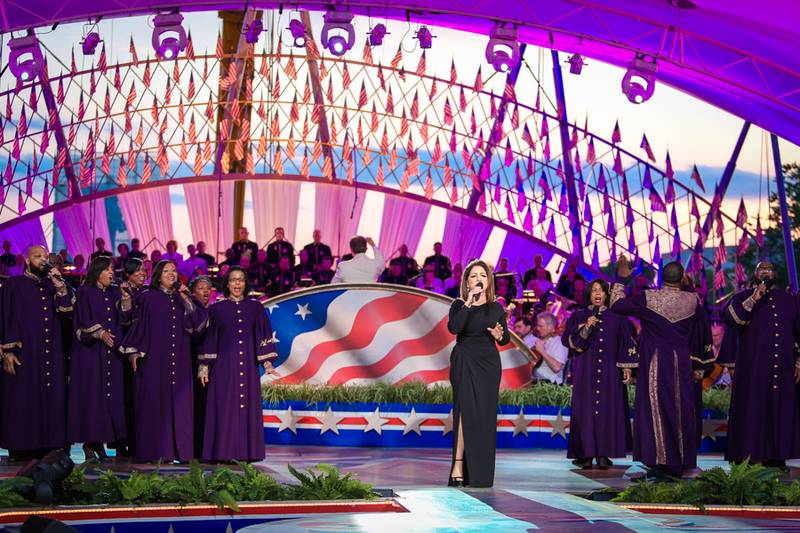 Just a year after Gloria's bus crash, she was back up on stage performing! 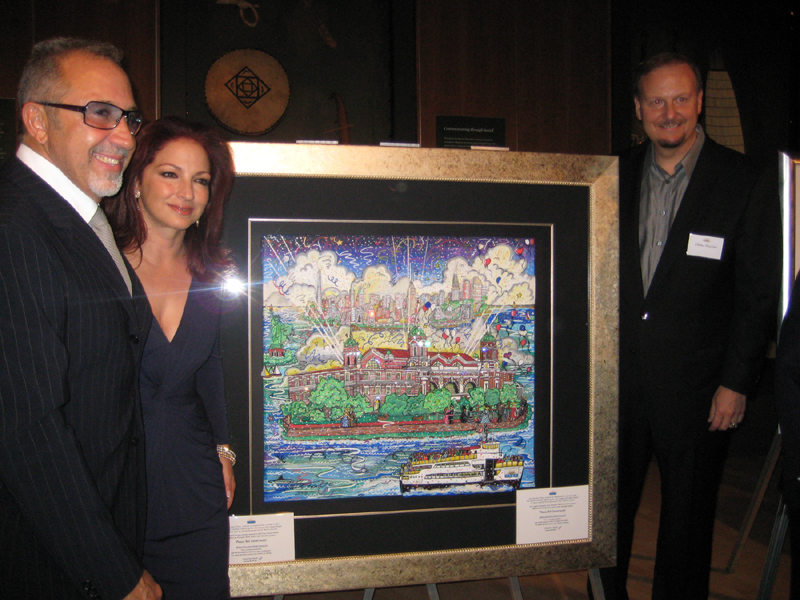 Gloria Estefan has won several Grammy Awards and has received stars on the Hollywood and Las Vegas Walks of Fame. 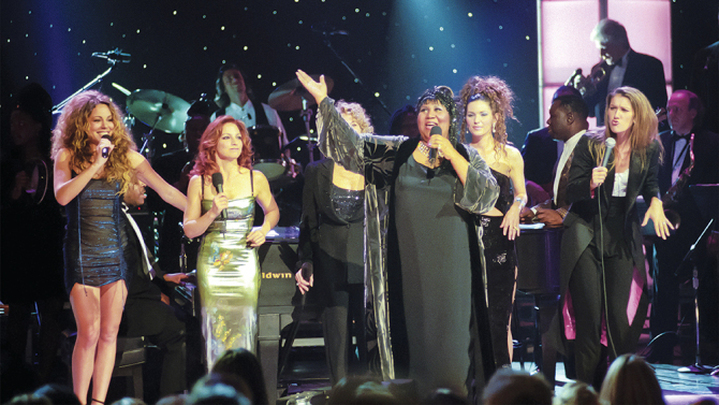 She has won the American Music Award for Lifetime Achievement and has been inducted into the Songwriters Hall of Fame. 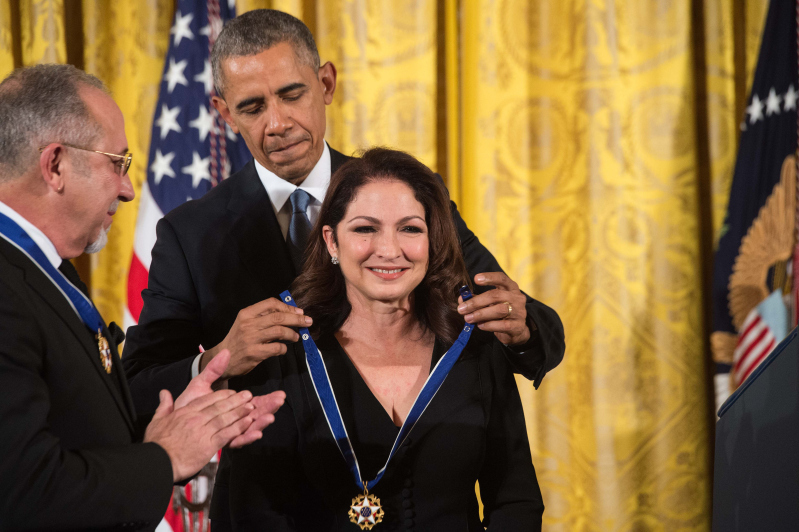 Estefan was honored with the Presidential Medal of Freedom for her contributions to music and Latin American culture. She and her husband also received the Ellis Island Congressional Medal of Honor, which is the highest award that can be given to a naturalized U.S. citizen. and her effort in paving the way for Latin musicians. 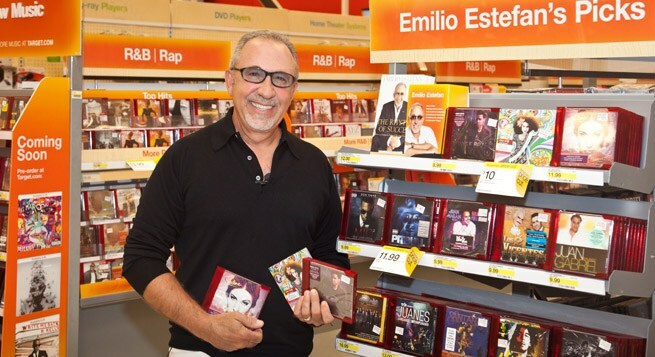 Estefan is the most successful ‘crossover’ performer in Latin music to date. Crossover is a term applied to musicians who appeal to different types of audience by performing in multiple styles or genres. For example, many country-western artists, such as Dolly Parton and Glen Campbell, began to record country pop or country rock. 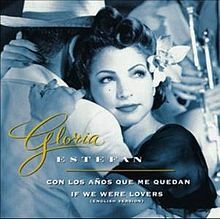 Gloria Estefan’s crossover from Spanish to English encouraged artists like Ricky Martin, the late Selena Quintenilla, Mark Anthony, Jennifer Lopez, and Enrique Iglesias. 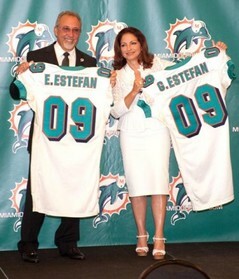 The Estefans are not only musicians, but successful business entrepreneurs as well. 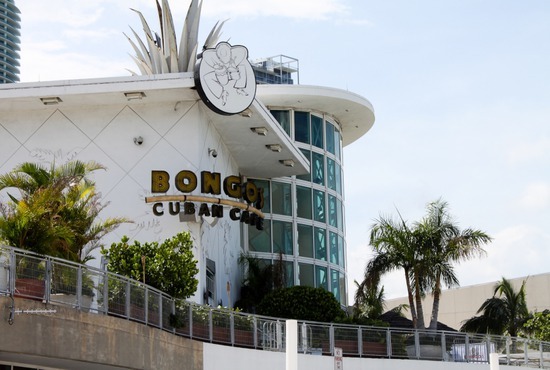 They own restaurants and hotels, and are part owners of the Miami Dolphins. 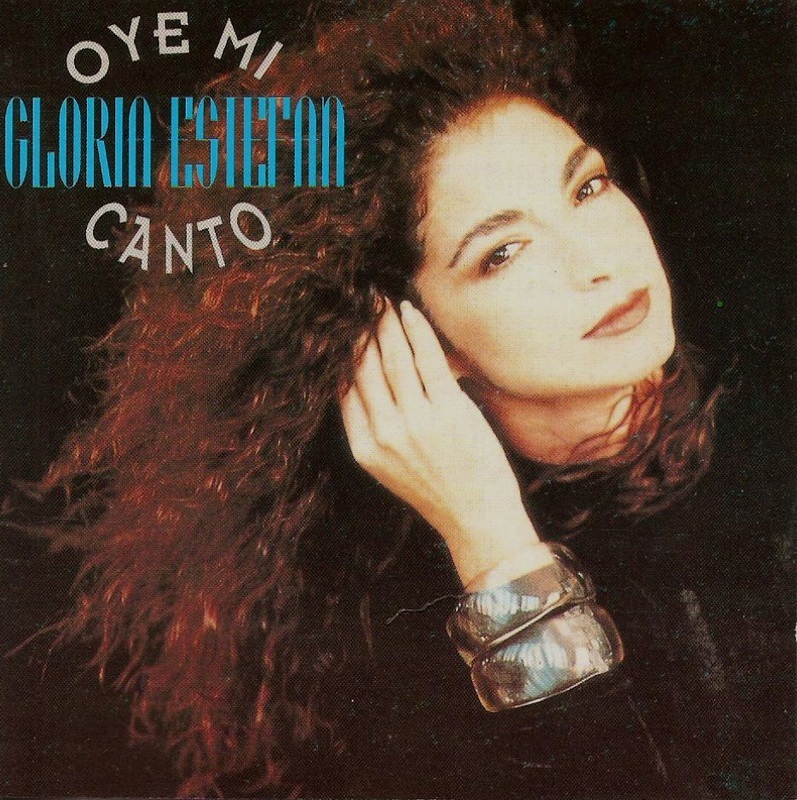 Today we’re listening to “mi tierra”, a song from an album of the same name. In English, this means My Homeland, and it was written as a tribute to Estefan’s Cuban homeland. Though the rhythm is energetic, the tonality of the music is in a minor key, which lends it a feeling of sadness. The song is about the nostalgia a person can feel remembering their native country. “Mi tierra” was played as a wake-up call for NASA astronaut Jose Hernandez aboard the space shuttle mission STS-128. Learn to conga with this studio dance class. Dancing with the Stars! Duration 4:27 minutes. What is it about dogs and Latin tropical music? The best yet! 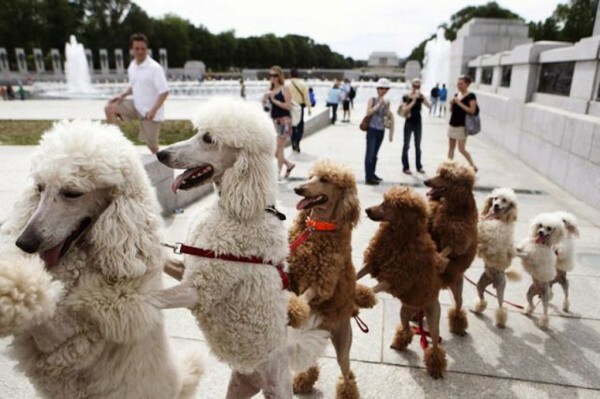 Canine Merengue! Duration 3:27 minutes. "This dog does it all!" Watch what Jesse can do! Duration 3:17. Que tienen perros grandes hacer con musico? Nada! Watch these kids dance Columbian salsa style. Below is a beautiful ballad, "Anything for You".